The long-running soap opera that was the NAFTA renegotiations has ended—at least for now. At the last minute before President Trump’s September 30 midnight deadline, Canadian and U.S. negotiators finalized an agreement that expands an earlier U.S.-Mexico agreement (the U.S.M.A.) into a trilateral agreement (the U.S.M.C.A.). The precise changes to NAFTA are contained in a text and “side letters” filed by the negotiating partners. Some issues, such as whether U.S. tariffs on Canadian steel and aluminum exports will be continued, are apparently still matters of negotiation. Several specific provisions including those affecting the auto sector are largely imported from the U.S.M.A. While others including the agreement to allow more agricultural exports from the United States into Canada, reflect the outcome of the Canada-U.S. discussions. In the all-important auto sector, the agreement increases North American content for vehicles from 62.5 per cent to 75 per cent and requires 40 per cent of the parts from any tariff-free vehicle to come from factories paying a minimum of $16/hour in average salaries for production workers. A side agreement grants Canada (and Mexico) exemptions from future U.S. tariffs on imported passenger vehicles up to a limit well above the current number Canada currently exports to the U.S. On balance, the provisions might enhance Canada’s competitive position relative to Mexico within the North American supply chain, although those same provisions might reduce the competitiveness of North American auto producers relative to those in Asia and Europe. Canada agreed to allow U.S. dairy exports (of up to 3.6 per cent of Canada’s dairy market) duty free. While this change brought a predictable outcry from Canadian dairy farmers, the Trudeau government made similar concessions on dairy imports to secure trade agreements with the EU and the members of the Trans-Pacific Partnership. In addition, Canada will give the U.S. more access to its chicken, turkey and egg markets. Also, it will scrap the pricing system that disadvantages U.S. exports of a milk protein concentrate used to make products such as skim milk. On balance, Canada’s supply management system will largely remain intact to the disadvantage of Canadian consumers. Also, American financial services companies will now have better access to Canadian markets. And the new agreement extends the period of exclusivity for biological drugs before generic substitutes can be produced from eight years to 10 years. The longer period of protection for biologics has also been strongly criticized as a measure that will indirectly raise drug prices in Canada. However, again, the measure is comparable to a concession Canada made in its trade agreement with the EU. Of less concern is Canada’s agreement to increase the copyright period from 50 years to 70 years after the creator’s death. 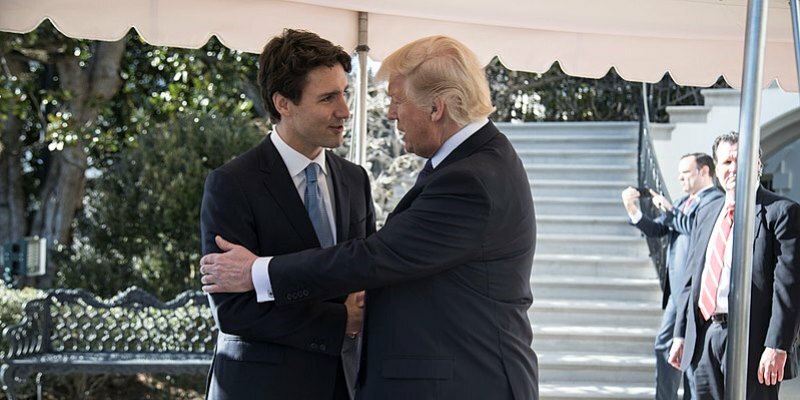 It’s noteworthy that Canada was successful in preserving the dispute-resolution procedure that constitutes Chapter 19 of NAFTA. Canadian negotiators were adamant about preserving this procedure despite a public U.S. position opposed to any continuation of the Chapter 19 arrangement. Canadians should applaud this outcome, although how meaningful it will be in practice remains to be seen given the president’s legal power to invoke trade measures to protect national security. Canada also preserved its content and ownership regulations that effectively protect Canadian copyright holders of entertainment programming from U.S. competition. However, as more entertainment programming is distributed over the Internet, it’s unclear whether current broadcasting regulations will have any practical meaning unless the Canadian regulator extends Canadian content regulations to the Internet—a politically fraught initiative. Several interesting and unexpected features of the new agreement reflect some potential relinquishing of political sovereignty in the areas of trade and monetary policy. Specifically, entry by any of the three countries into a trade agreement with a non-market country (read China) allows the other parties to terminate the U.S.M.C.A. on six-month notice. While free trade negotiations between Canada and China have been tentative, the outlook going forward is now more problematic. The new deal also includes rules to prevent member countries from deliberately weakening their currencies to gain a trade advantage. While currency “manipulation” has not been a notable bilateral trade irritant, this provision does provide another possible rationale for trade actions by a mercantilist-inclined U.S. president. In sum, the agreement between Canada and the U.S. is much less profound in its changes than might have been expected from prior U.S. rhetoric. On balance, Canadian consumers could have benefited more had U.S. negotiators followed through on their more extreme demands. Of course, a volatile U.S. administration and upcoming U.S. midterm elections may return Canadian-U.S. economic relations to soap opera status.